The official homepage for Chris Hoke--Underground Ministries Executive Director, prison chaplain, gang pastor, and writer in Washington's Skagit Valley. Underground Ministries opens new relationships of embrace and trust between gang-affected prisoners and our communities to which they return, for our mutual transformation and resurrection. Deep Chaplaincy: We seek to incarnate, in deep relationship, God's love to those at the bottom of the American prison system. Beyond religious services, we know trust and mutual transformation happen in relationship, over time. Gang Focus: Mexican gangs are at the intersection of mass incarceration and immigration issues today. These are the untouchables in prison ministry, and are precious to us. Prisoner ReEntry: To welcome lives back from the burial ground of prison is an act of resurrection. This is the heart of our work. We see Lazarus as our model. It takes a community to roll away the stone and meet Jesus' friends beneath the death layers and old labels. OneParishOnePrisoner: In WA State there are roughly the same amount of prisoners as churches. What if every church wrapped around and embraced one prisoner, into their release and new life? It would be a new underground railroad. We are partnering with the Dept of Corrections, the Seattle Archdiocese, the NorthCoast Presbytery and other churches in a pilot program that's already begun. Storytelling: Through my book, public speaking that lifts up the voices of those underground and those who have resurrected, through media and podcasts, and with our partner Underground Writing, we believe stories have the power to change hearts. When you change the narrative, everything else changes. 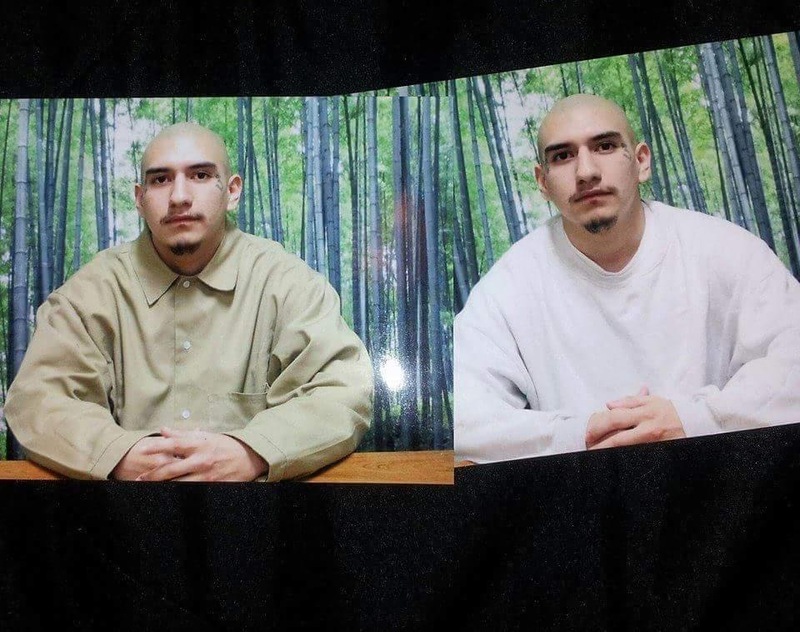 In 2005, I met gang member José "Neaners" Garcia inside Skagit County Jail, as young volunteer chaplain. Both inside those walls, and out in the night of Northwest Washington State's Skagit Valley, Neaners invited me into his underground world of gang-involved migrant youth. He dubbed me "pastor" to the many homies whom, he said, had never had a pastor. I developed the Gang Ministry at Tierra Nueva--where I worked for twelve years--and continued on the streets as Neaners went to prison for over seven years--often in maximum-security gang units and solitary confinement cells. During those years, Neaners and I exchanged letters almost weekly. We became each other's life teachers. Beyond our letters' contents--Bible and gang culture, parenting and prayer--we learned about friendship and trust across society's barriers. We experienced an unexpected sense of family, kinship, and shared calling. We dreamed of working together, upon Neaners' release and before, to reach many more men thrown away in today's human landfills of prison. They wanted to bring them a new message: that they are wanted. Soon, I had the opportunity to return the favor and open doors for Neaners into his world. In summer 2014, Neaners was released directly from solitary confinement to my home with my wife Rachel. It changed all our lives. Within the next year, Neaners was off parole, married, a father, baptized, and working together with me at Tierra Nueva to reach both gangs and churches with a new way forward. In 2017, Neaners and I co-founded Underground Ministries. We are now CoDirectors of a new organization fully dedicated to this distinctly relational approach to gangs, prisoner reentry, and wider community self-discovery. We are sustained by grassroots investment--individuals and families donating monthly. Our grassroots has grown. If you want to join us, the button below will guide you into our website and easy giving platform. All giving is tax-deductible as we are a 501c3 nonprofit organization. You can get an every-few-weeks newsletter in your inbox. In it, I tell stories from the ministry and ask folks to back us up in serious prayer. If that sounds like something you want to be a part of, I'd love to hear from you.